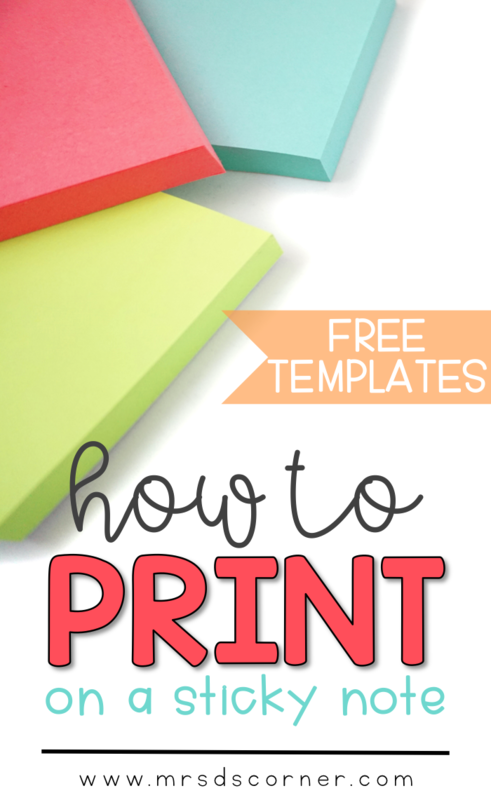 Printing on sticky notes has never been so easy. …and Post Its have never been so fashionable and cute to send notes home to families, write to do lists, or jot down progress monitoring data. I’ve been in a Melonheadz theme lately… and I’ve gotten quite a few things created for my classroom to bring it all together this school year. But yesterday I created something I am super excited about and something that literally takes a minute or two to prep. If you’re anything like me, I use sticky notes for everything. I stash them everywhere and probably have 3-4 sticky lists at all times. All sizes and in a variety of colors. 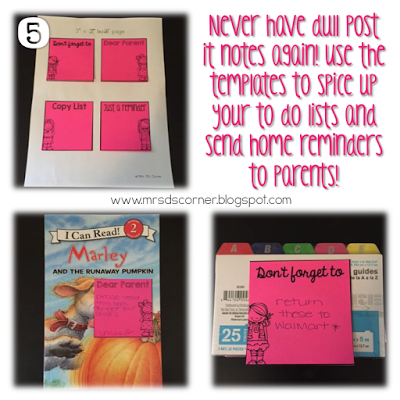 Well I figured out a way to spice them up to never have dull sticky notes again! And then grab the free template to use, or you can use the Melonheadz templates here. 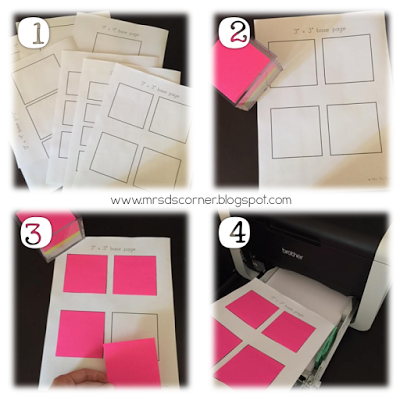 All I have to do is use the templates I created (in 7 different Post it note sizes), attach the sticky note to the paper, put it in my printer, and click print! Now I’ve got absolutely adorable to do lists and have a great way to send quick notes home to parents super last minute. Or you can grab a free set (just like the pictures above) when you download the preview here. Or you can purchase the entire set of 7 templates with 24 different kidlettes in each template (that’s 168 different editable Post It Notes!). 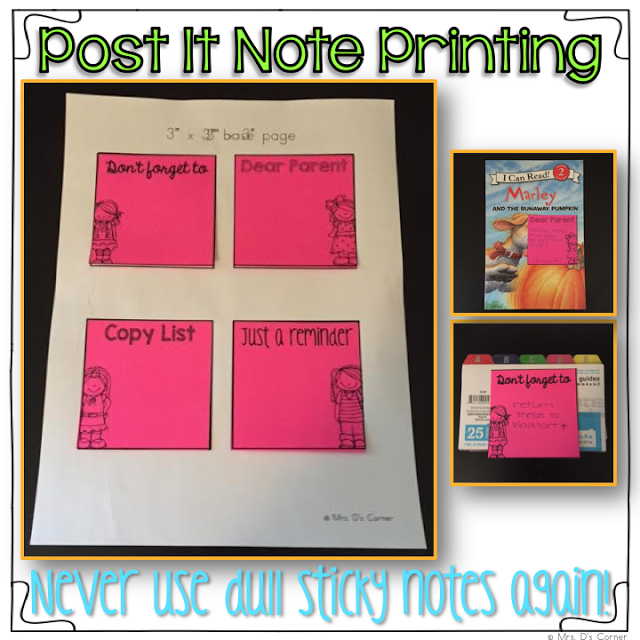 How do you use sticky notes in your classroom? Oh my goodness, soooo cute! Thanks for sharing! This is amazing! 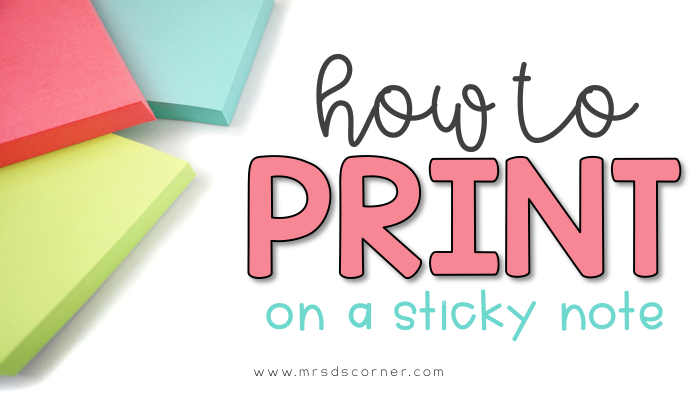 I had no idea you could print on post-it notes like this! Thanks! I love this! I printed on post-it notes this year too for an activity I did with my 3rd graders. Love it!! This is such a good idea! You did a great job. They are really cute. Thanks for linking up, Stephanie!